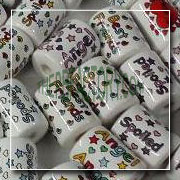 Large ceramic tube bead with two colors “Spoiled” printing; The text colors are: Pink & Lavender. Horizontal hole of 4 mm approx. 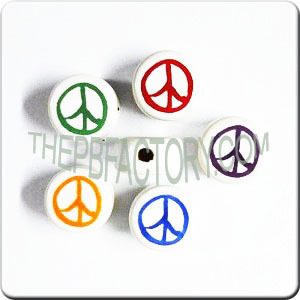 Tube measurements are: 18 mm long and 14 mm wide. Sold 25 units per package.